Johan and Megan had a "Tarantino" themed Halloween party. 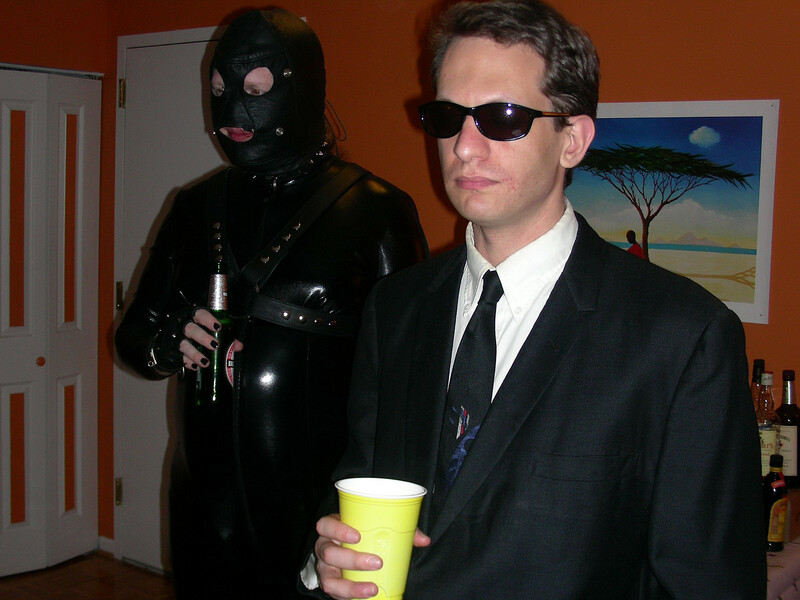 I went as The Gimp, from Pulp Fiction. Here are three pictures from the party, taken by someone else. The full size images are around 1.3Mb each. The original photo set is at flickr and are licensed under Creative Commons 2.0.